Submarine chaser SC 100 served at Plymouth, England, as unit leader of Unit 9, under the command of Lt. Ludwig W. Gumz, USN. 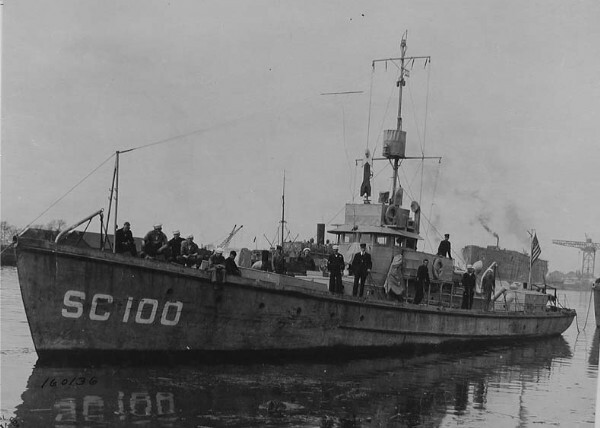 Photograph of submarine chaser SC 100. National Archives, RG-111-SC-160136. Thanks to Dan Treadwell for submitting the image.